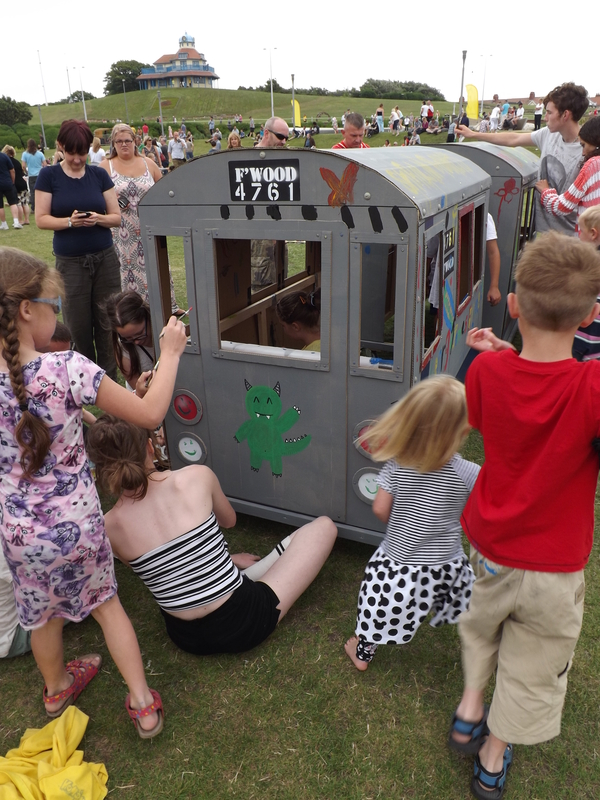 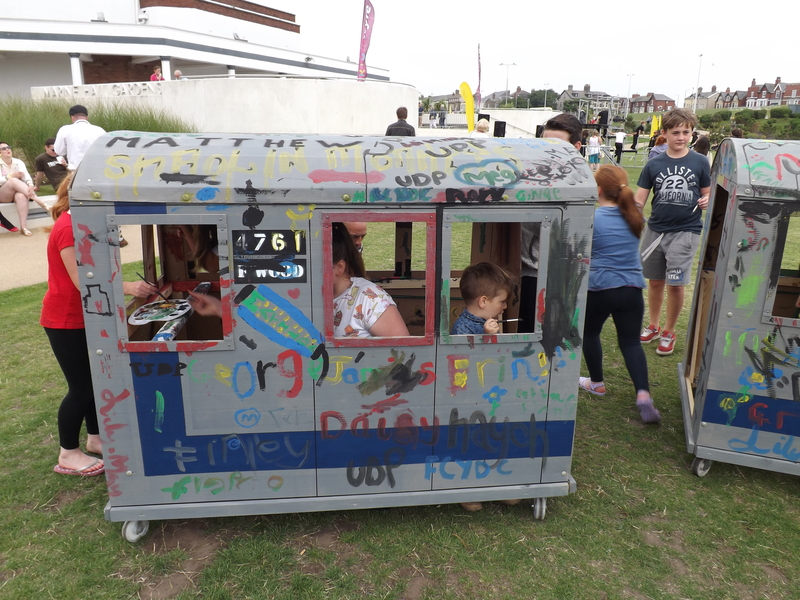 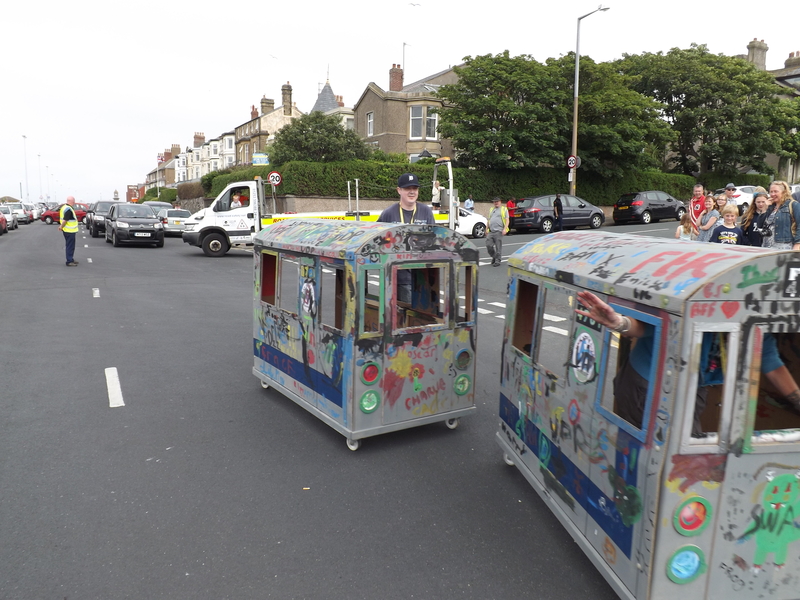 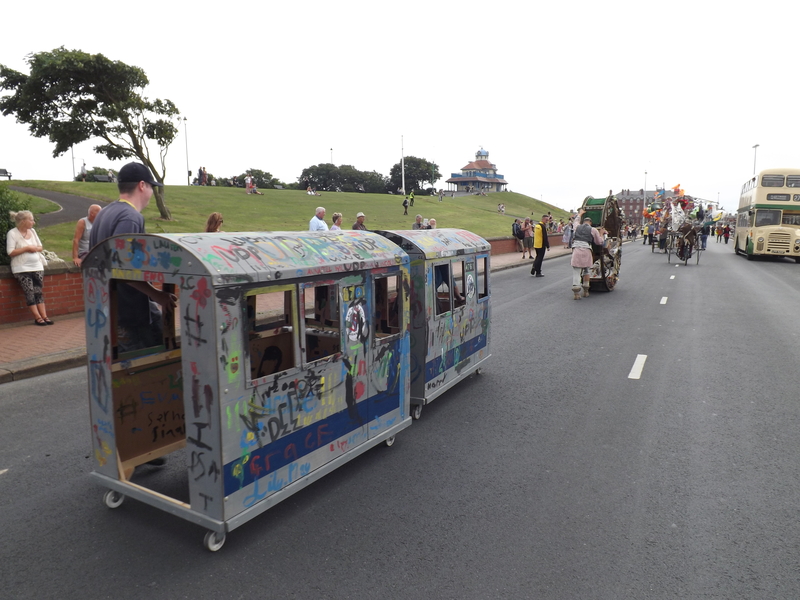 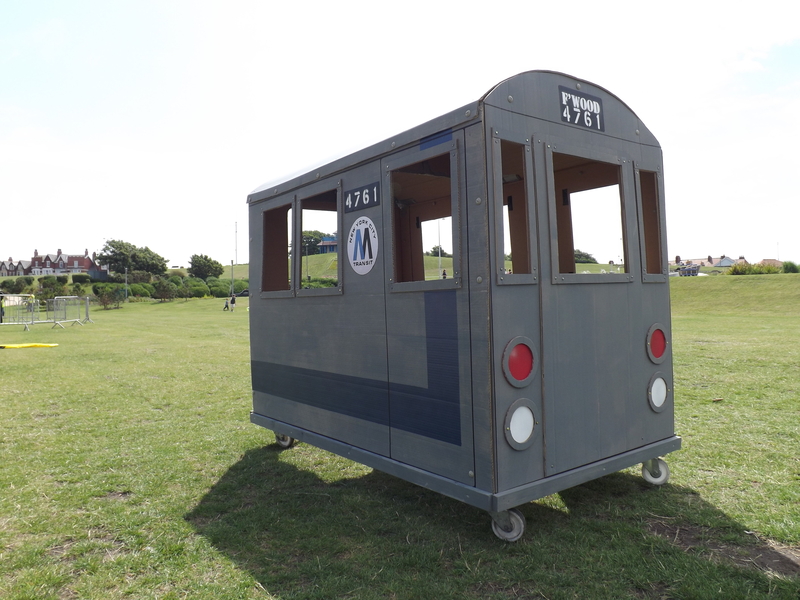 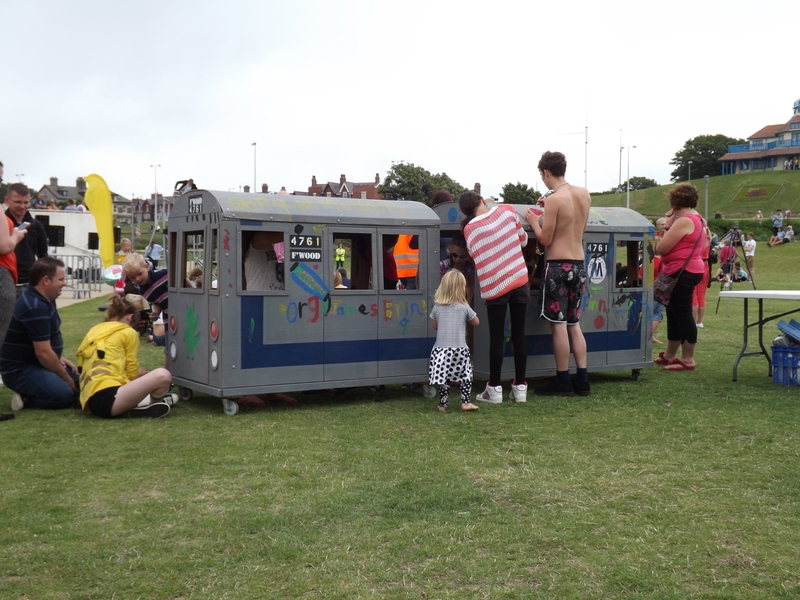 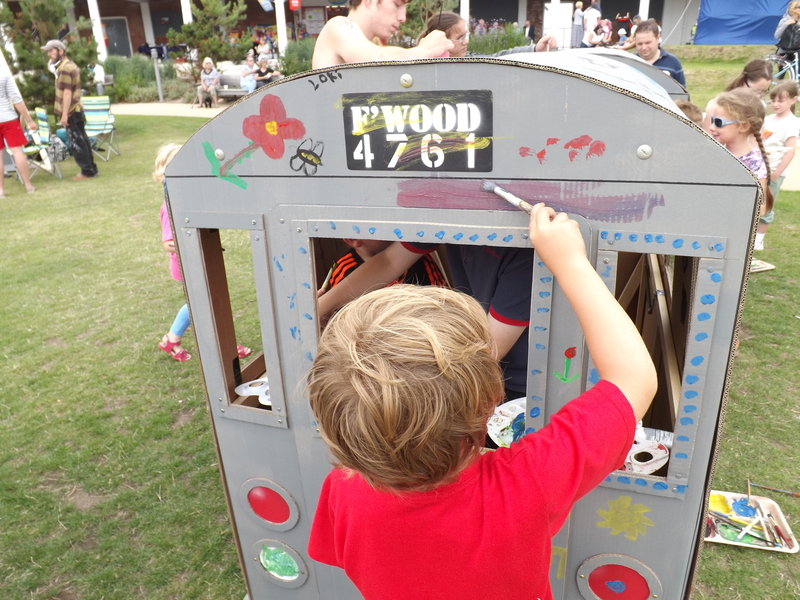 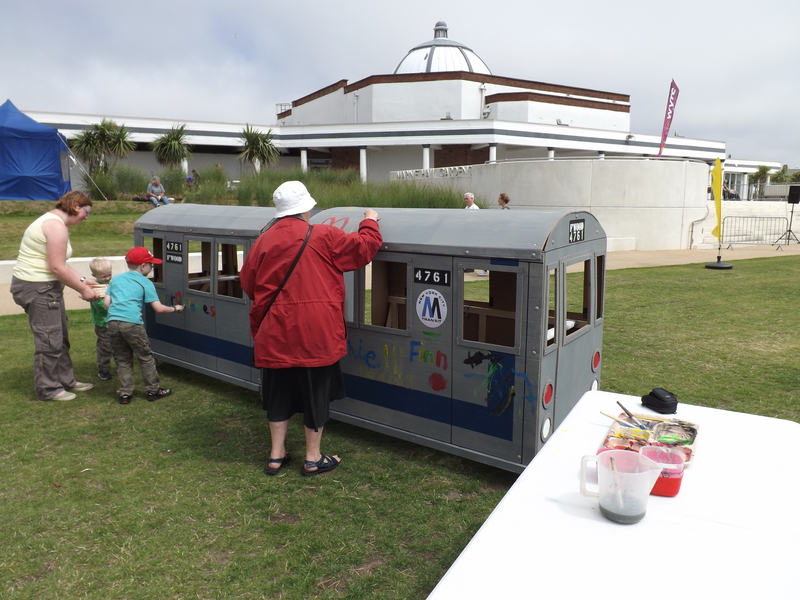 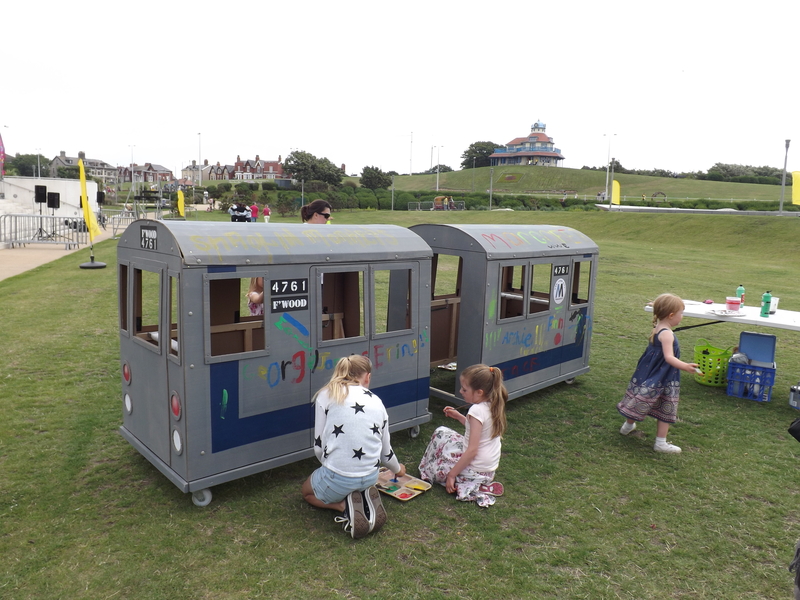 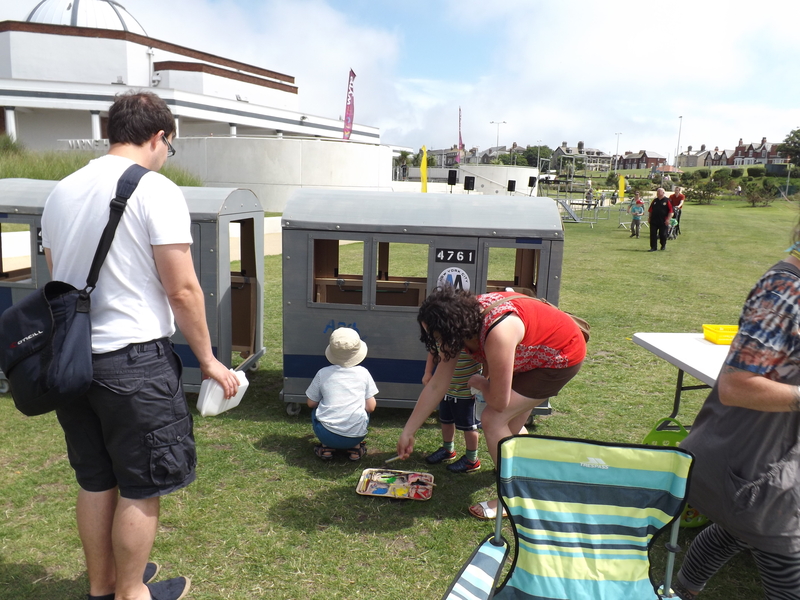 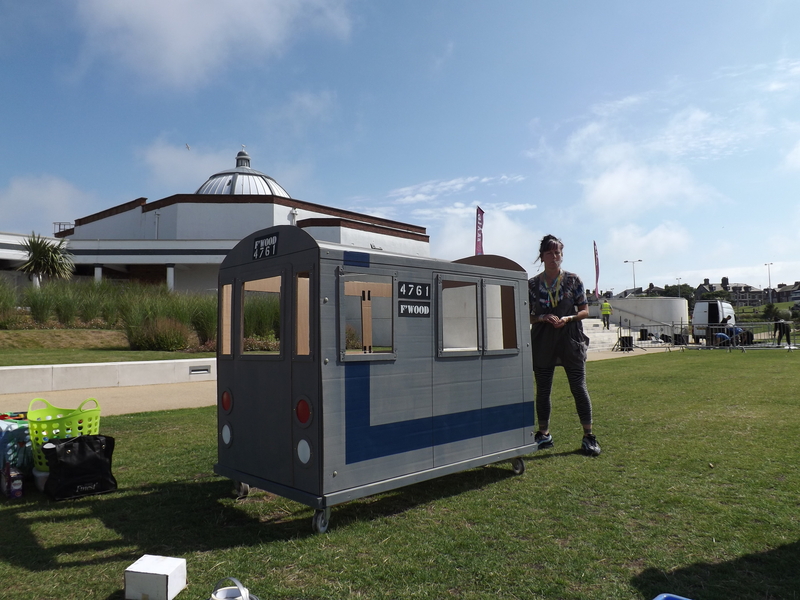 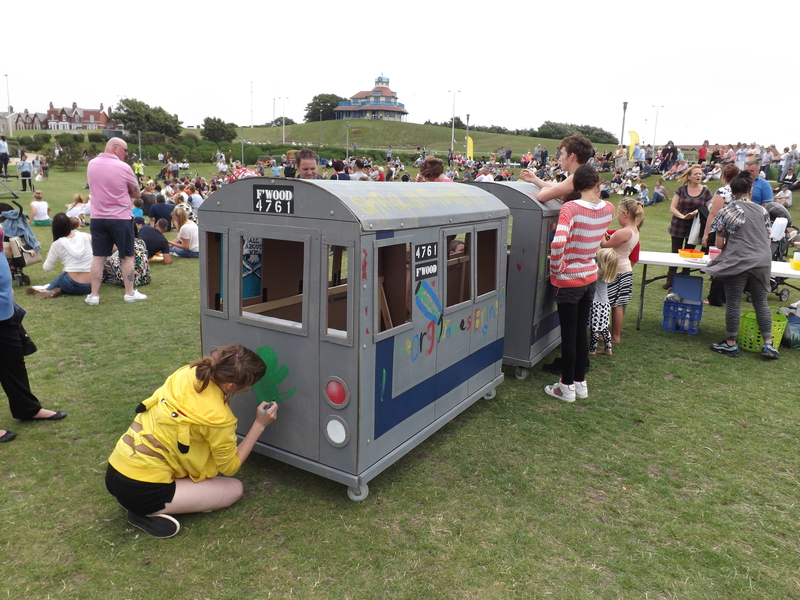 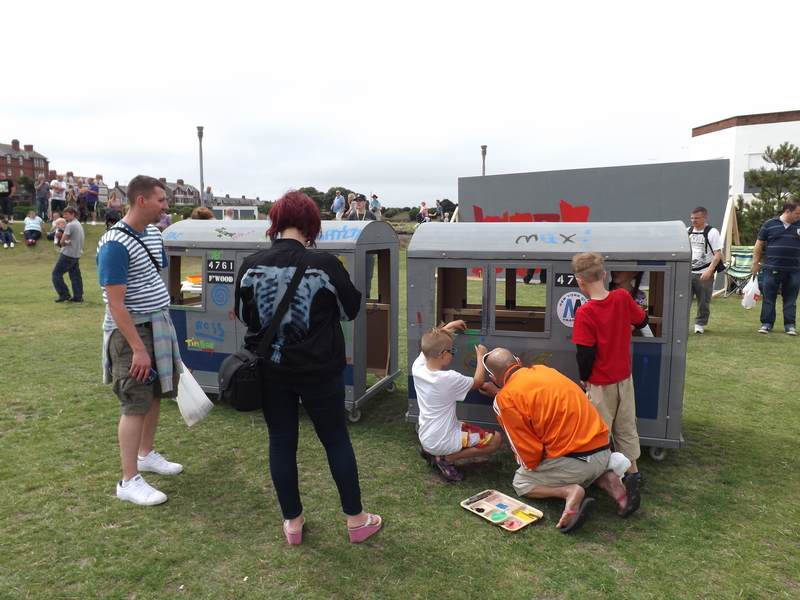 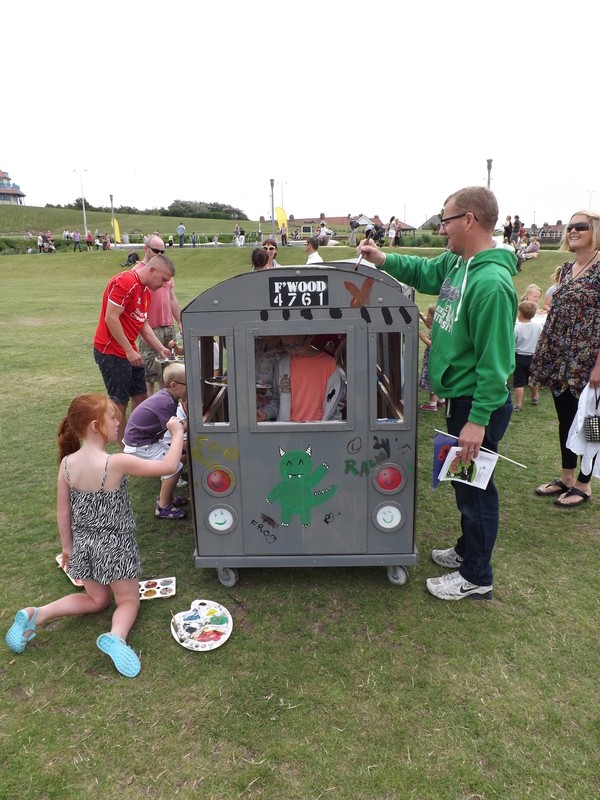 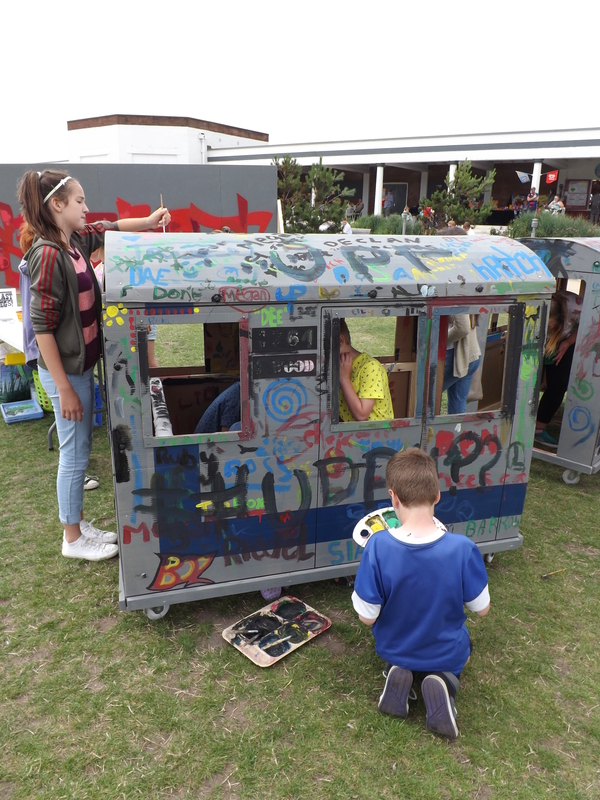 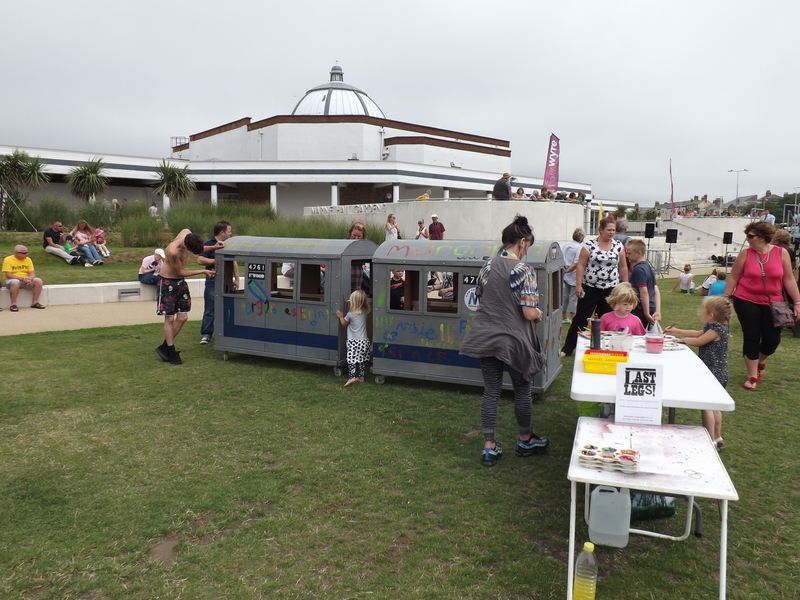 As part of the live paint event Mr Dee with the help of our photographer Lee Hodgkiss and our new organisation member David Jennings we created and built 2 small subway cars on wheels that later joined the Tram Sunday parade. 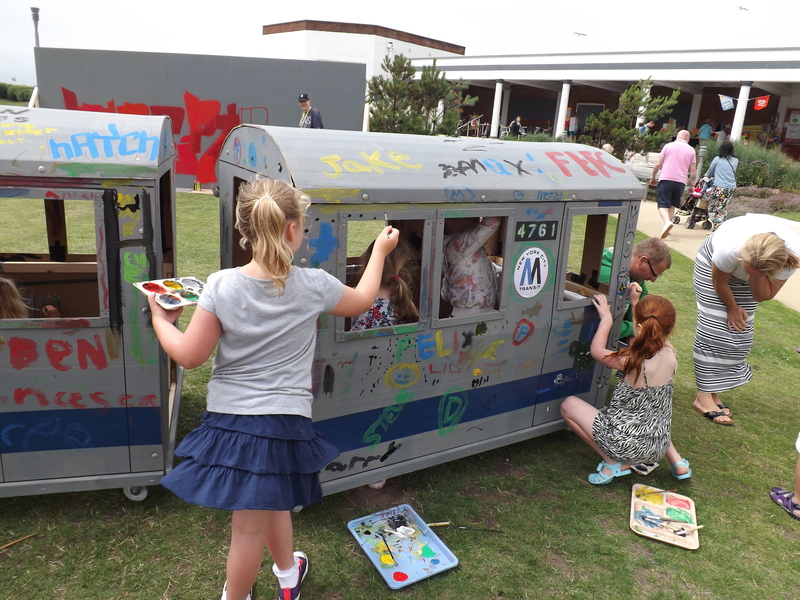 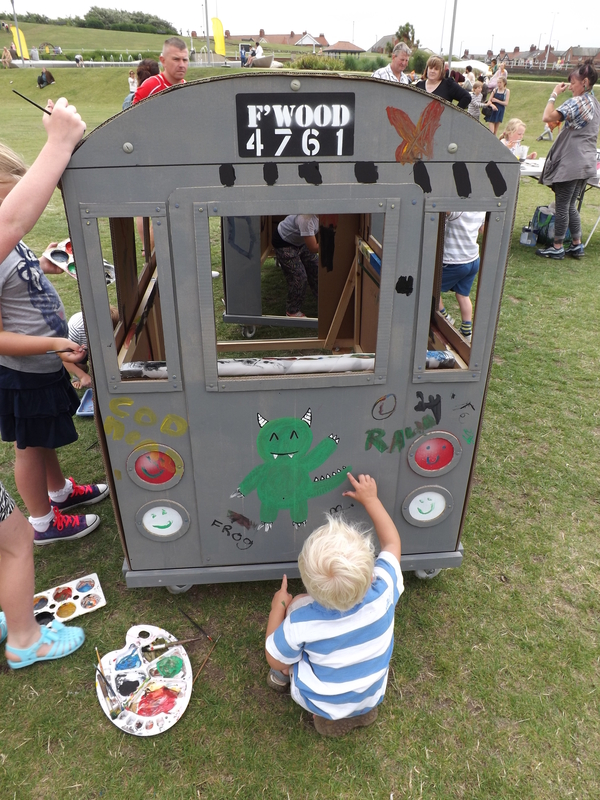 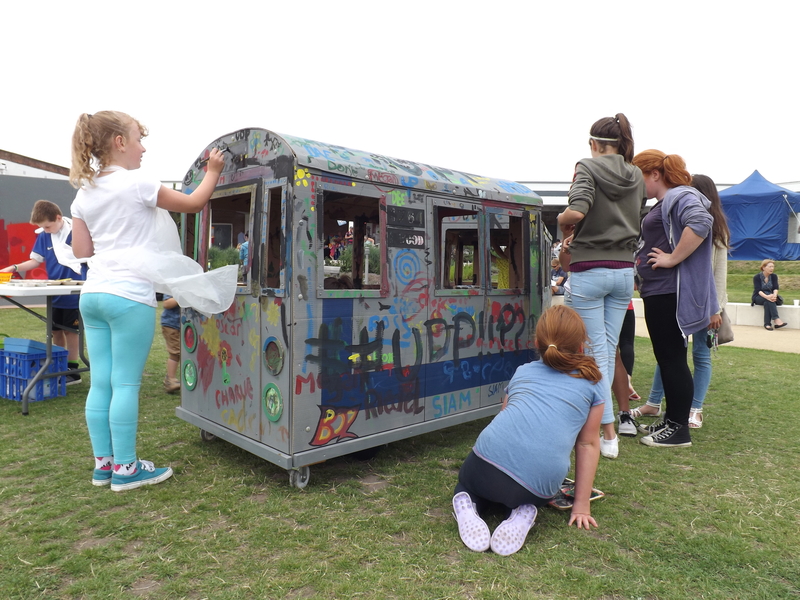 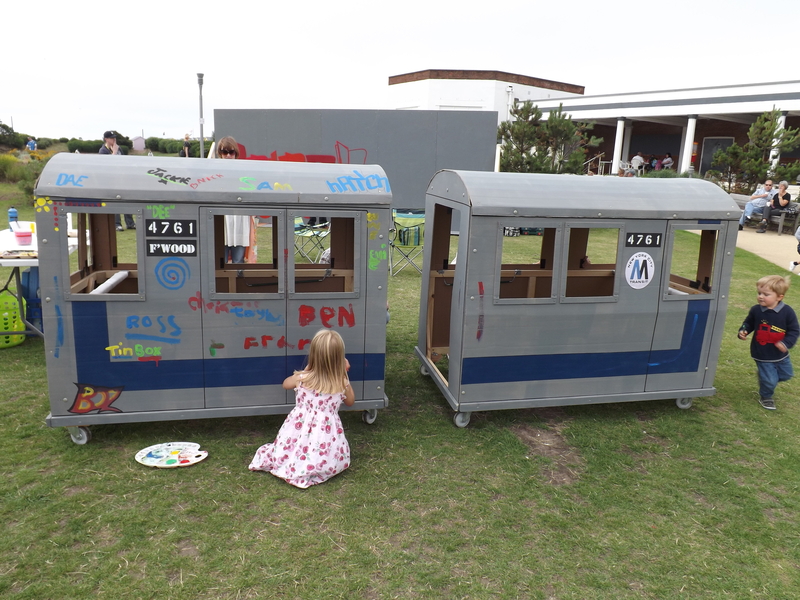 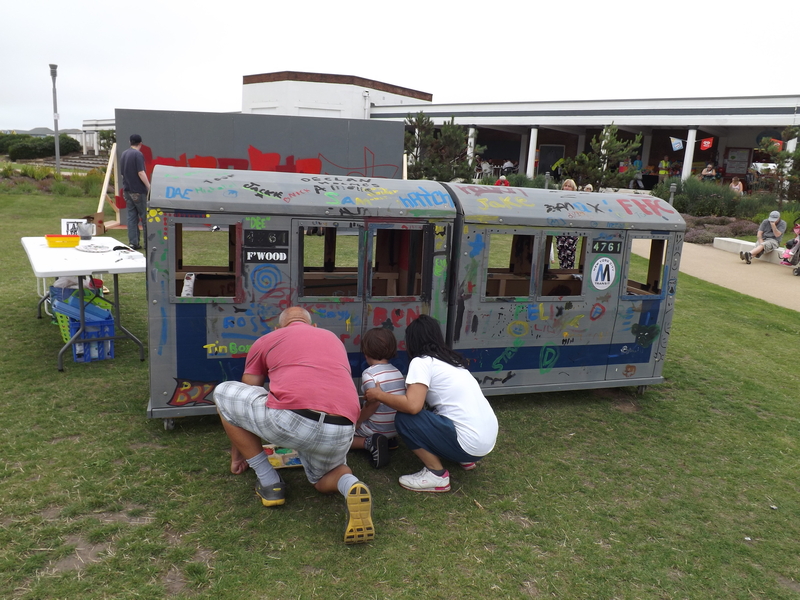 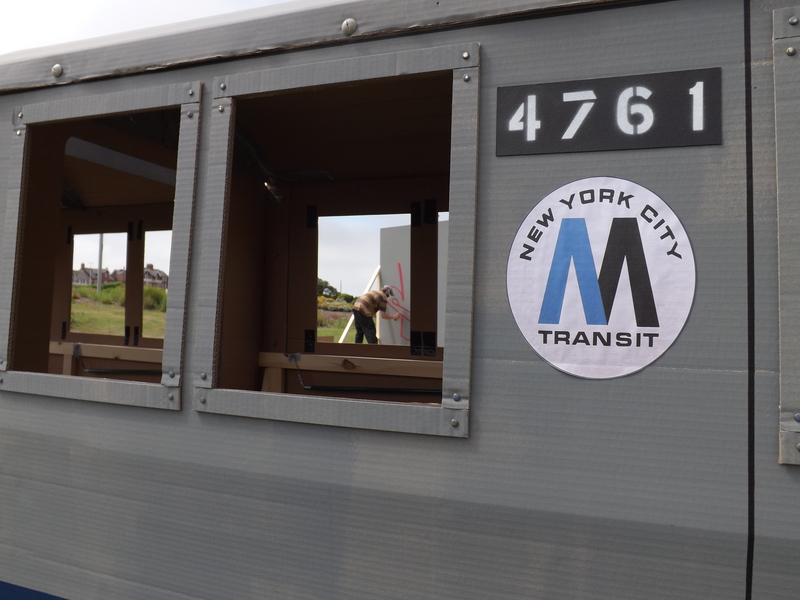 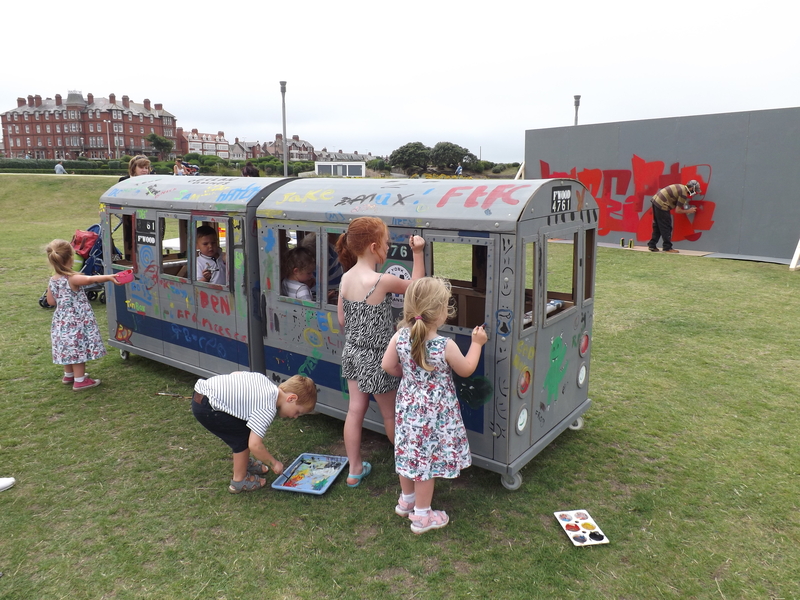 Boz Phillips set up a workshop for or should I say ‘put out paint all day’ for enthusiastic children , parents and members of the public to paint the subway cars with their graffiti. 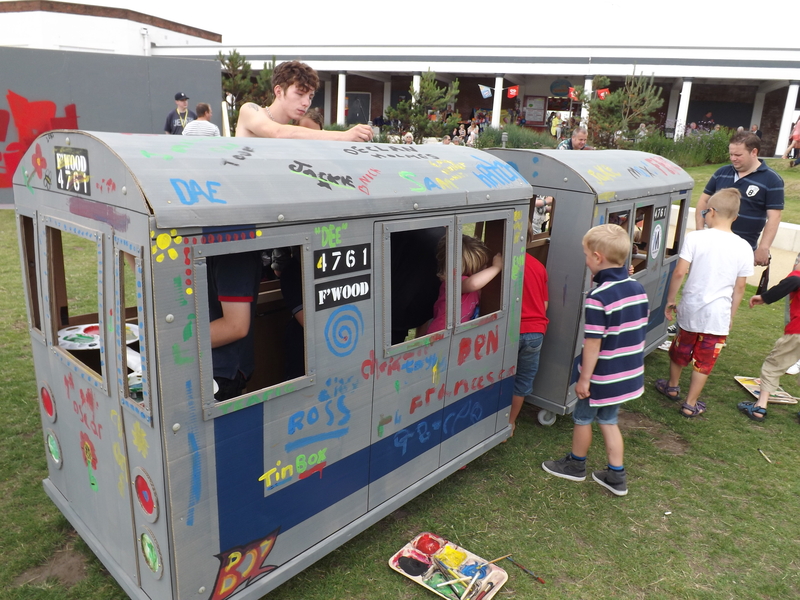 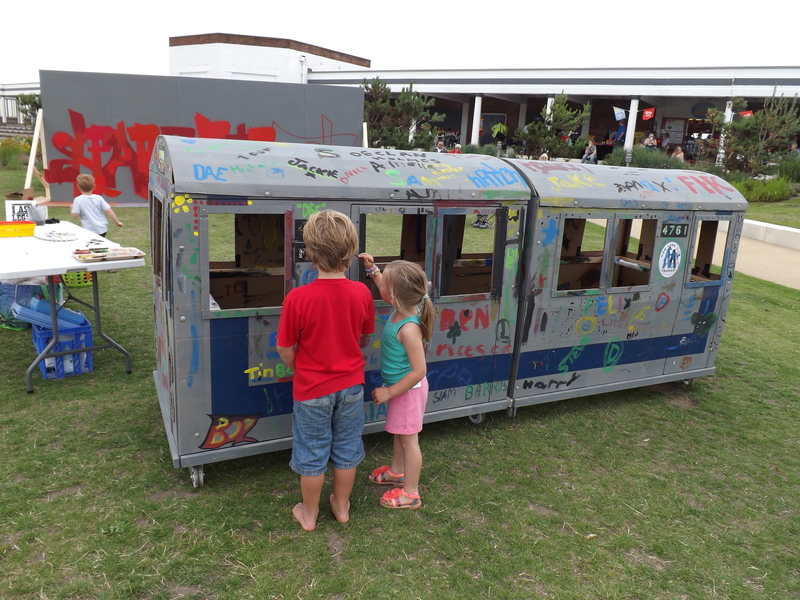 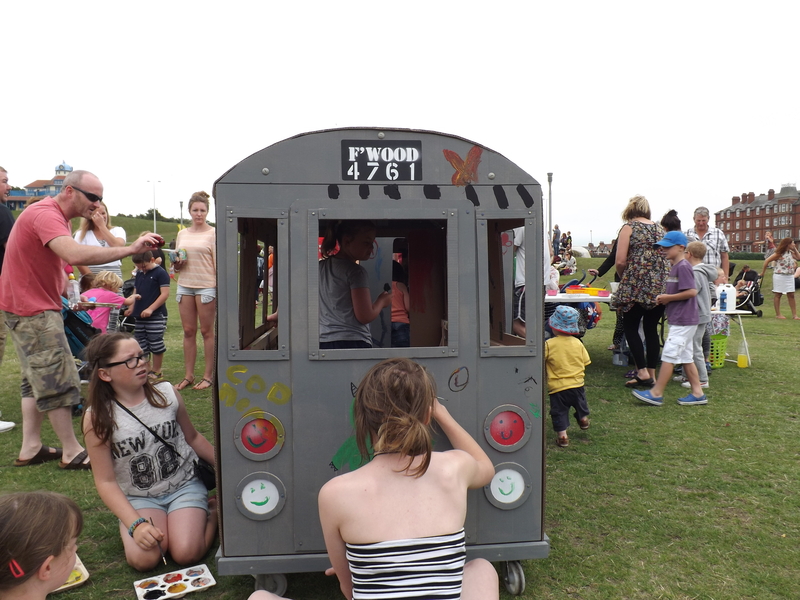 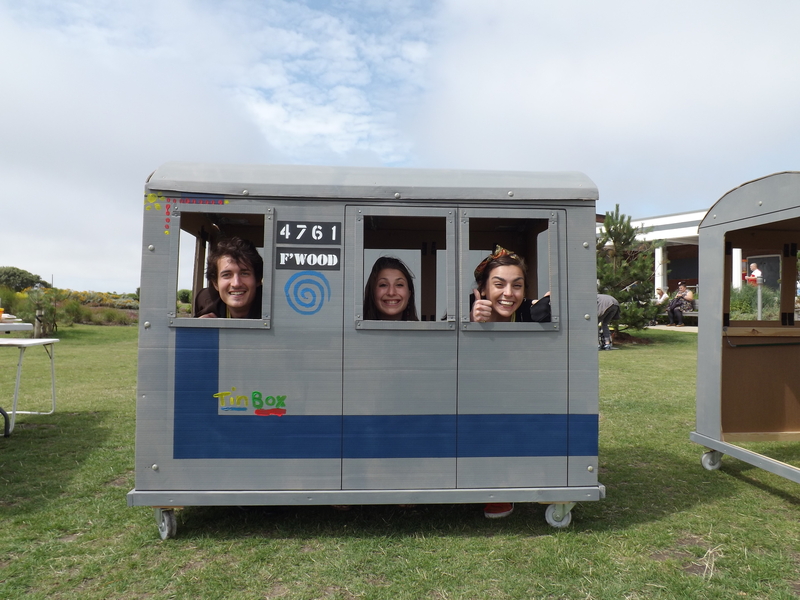 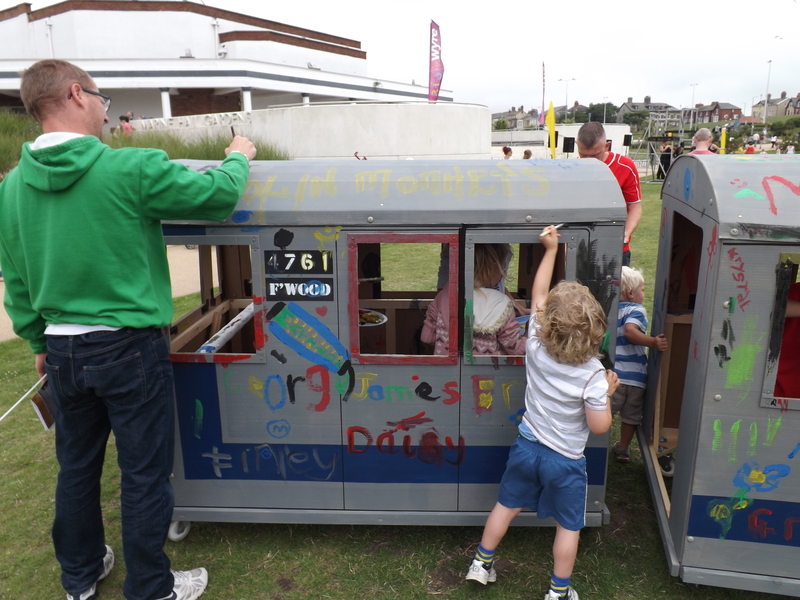 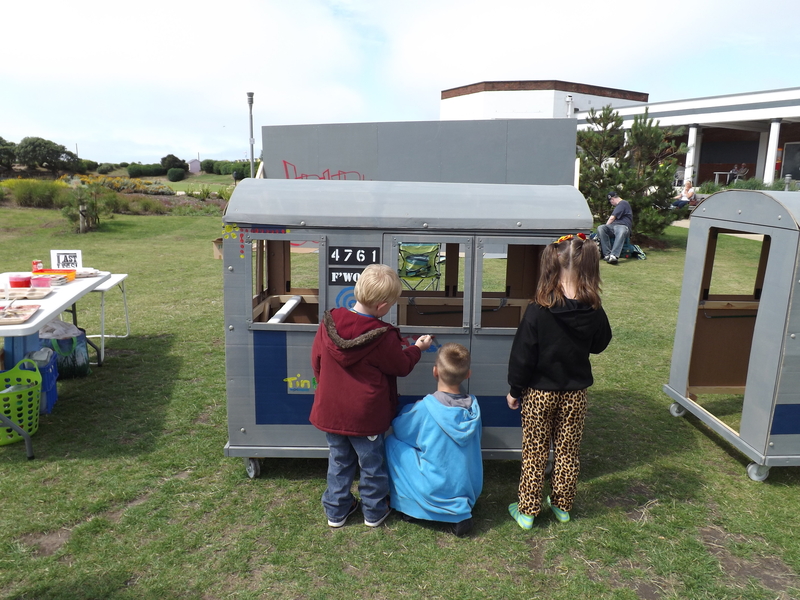 The subway cars were a big hit thanks to Mr Dees’ ideas and Dave and Lees help. 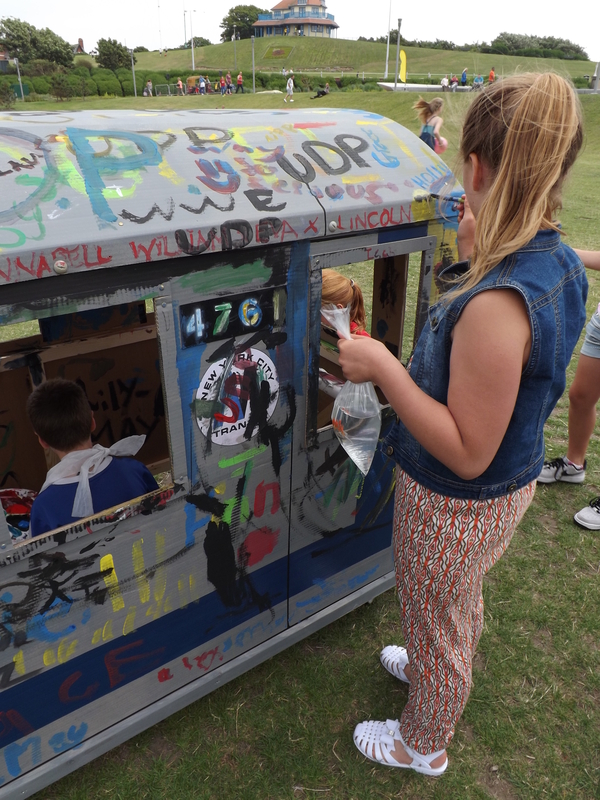 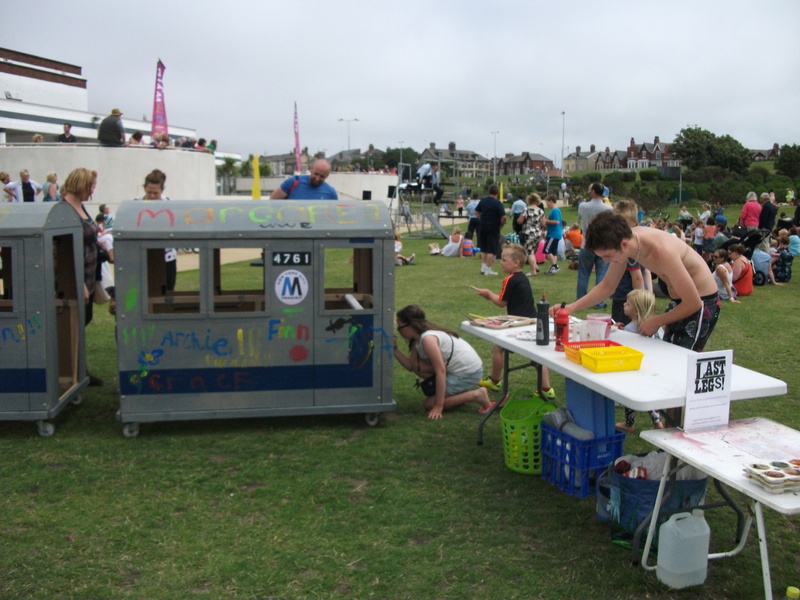 Everyone loved the opportunity to decorate the cars from 12 noon until 3.30 when the parade commenced. 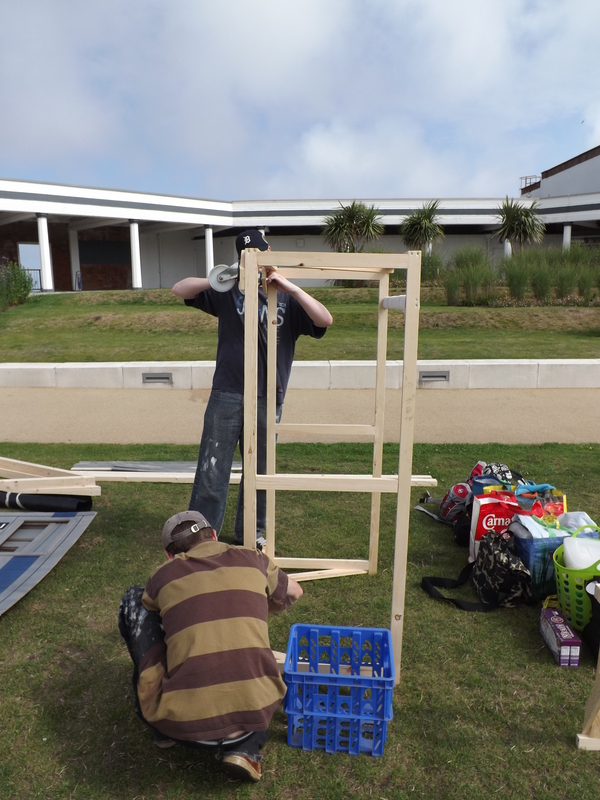 See for yourself the participants work below.